If you want to use the model you should ask Quechus9 first. If you want to use the enchantment, well, we gotta have a talk then. Inspired by LOTR and on a eager to create new mods I present this, the Gandalf's Staff. 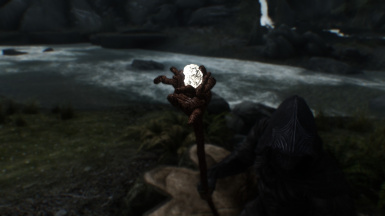 It's a custom staff (model by Quechus9) which can be found (http://www.nexusmods.com/skyrim/mods/27790/?) here on nexusmods and the images up there as well, when I saw him at first time I said: "Oh, cool. Gandalf's staff, what it does ?". Well, a candlelight, so I asked permission to edit the staff and here I'm. I added a special enchantment that pushes the target away but not only that, there's a chance of a "force explosion" pushing a lot of targets in 50 ft range. A. There's a chance to instantly kill the target. B. A Random spell is cast on the target. You can think: "Only that?" and I must say, IF you ever thought that Wabbajacking someone is a mess it's because you didn't try this. IT'S NOT MY FAULT IF YOU TYPE 'PSB' ON CONSOLE AND TRY THIS (But it's funny as hell). Please look up that the staff isn't for intense battle purposes, if you're killing a rabbit or a wolf fine (the wolf only if you're not playing on Legendary difficulty level), otherwise you may make a mess xD. For real, give it a try, but caution while messing with the SKSE version. It can give some strange result if you have used 'psb' or you are an Afraid of Akatosh's Light. May the ground fart as you pass. 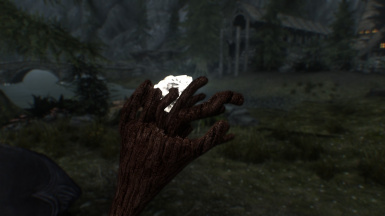 If you're using The Special Edition AND you're a vampire you can cast a vampire spell that is only possible in vampire mod, so you're be unable to access menus /I will try to fix this. Thank folks :) Soon I'll post a new mod to get this better, it's called Necromancy, a set of spells there are original, yes, you read right, and I think, personally that they make somehow it all funny. So this way I can fulfill the void that consumes me from inside. I THINK THAT THERE WON'T BE MANY PROBLEMS IF YOU USE BOTH FILES AT SAME TIME BUT THERE ARE NOT ANY WARRANTIES ABOUT IT. THIS SOFTWARE IS DISTRIBUTED "AS IS". I'M NOT RESPONSIBLE IF YOU OVERLOAD SOMETHING WITH SOMETHING THAT IS ANYTHING OR ANYTHING THAT IS SOMETHING. I hope you understand, get me some cookies and have a nice day.